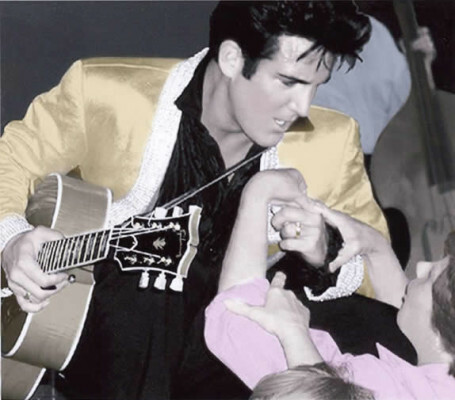 Our Elvis Tribute Artist is one of the top Elvis impersonators and lookalikes in the world and is a fabulous performer, singer and musician. He can do a solo corporate stage performance, meet-and-greet and walk-around or a combination of all three. If requested, he can provide a trio for a 40-minute or a two-set Elvis Tribute performance with the trio including a discussion of what The King meant to the culture and his historical significance. His 2014 live video backed by a trio was shot in October 2014 in Virginia. He’s available throughout the U.S. including California, Las Vegas, Hawaii as well as internationally.